I have always appreciated the ability of good music to slow down my life. So often music simply drifts into the background: an entrance hymn as the pastor walks down the aisle, something to accompany a drive or commute, heart-pumping beats to keep you running during a long workout. Music, in this manner, is an assistant to the main event: a celebration of the beginning of a Mass or Worship Service, a way to pass the time during an otherwise uneventful commute, an auxiliary method to encourage physical endurance. I have personally experienced this difficult difference between Catholic and Protestant churches. Before going back to school full-time a few years ago, I spent several years directing a contemporary worship group (see: guitar, bass, drums, singers, etc) for a Sunday evening Mass. Day in and day out, my biggest struggle was freeing people from the concept that music was merely a holy tool for transition changes during a Sunday liturgy. In some ways, of course, it is simply that. The Mass can and is often said without music present. Weekday Masses (see: “22-Minute Dolan”) are epitomized by offering the faithful a quick way to encounter Christ’s presence and still arrive in time for work. Music that accompanies Mass on Sundays is present to enrich the ceremony and deepen the experience of the sacrifice….no matter how poorly it may sometimes be done. At its worst, music during worship is just another way to repeat holy phrases and hope we’re all doing something good. At its best, music during worship assists the congregation in opening up to God for just a little while amidst the chaos of everyday life. 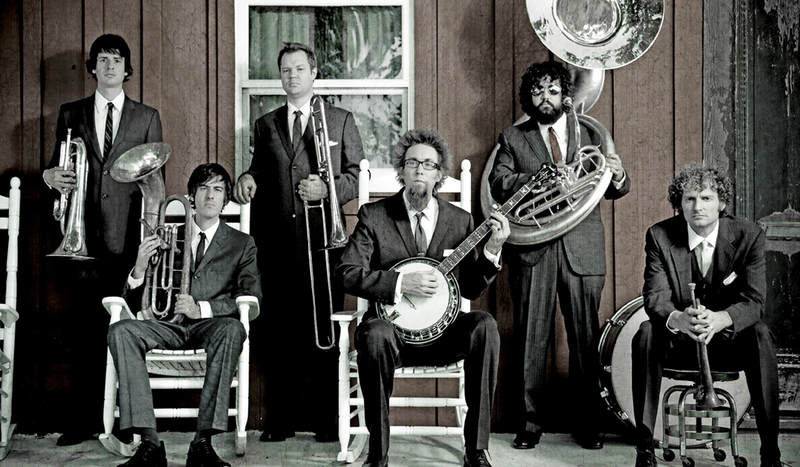 The David Crowder Band, posing oddly. Over the past ten years, one of these artists has been David Crowder and his aptly named David Crowder Band (DCB). This band name is well known in most protestant churches and, I imagine, in many Catholic youth groups as well. Earlier this year the group released their sixth and final major album, entitled “Give Us Rest or A Requiem Mass in C (The Happiest of All Keys).” Truth be told, Crowder has always had a thing for odd titles. Now, a side note: because this is a blog and I don’t feel right expecting people to listen to music in order to get the full picture of what I’m trying to say, I’m going to save the main playlist of songs until the end of the piece. Nevertheless, it wouldn’t hurt to have some background music if you’re up for it. If you’re in a place to listen right now, scroll to the bottom of the page, click “play” and then scroll up to continue reading. Of course, you can always just go to iTunes, Amazon, or some old fashioned music store as well. Now, like many fans of Christian rock music, I appreciate the hip-hop stylings of TobyMac, the inspired worship of Chris Tomlin, and the always-original work by Jars of Clay. Nevertheless, the work of the David Crowder Band over the last ten years has accomplished something quite rare in the Christian music world–something that the three previously mentioned groups sometimes approach but never quite grasp. In the history of Christian music, I have found particular resonance with the notion of the sacramental nature that music can take. As many of you will know, to say something is “sacramental” means that this practice or item, in a small way, represents a physical or tangible manifestation of the grace of God. This understanding of music reaches back many centuries, and remains the reason the Catholic Church continues to officially prefer Gregorian Chant (see Vatican II’s Sacrasactum concilium, paragraph 116. The latest instructions of the Mass reflect this as well in paragraph 41). For the Church, Gregorian Chant is a perfect example of the sacramentality of music: having been sung by countless monks, religious, and laypeople alike over the past hundreds and hundreds of years, it is clear that God’s grace pours forth through this ancient form of singing and worship. For many today, Catholics and Protestants alike, Gregorian Chant is inaccessible. Chant, properly sung, feeds and is enriched by a unison of voices blending fully yet imperfectly into each other. Chant asks for a setting aside of vocal individuality for the beauty of the whole. For communities of monks and other religious, you can see the obvious benefits. The love of God is expressed through prayerful song that defies the temptations of individuality and recognizes the blessed unity of the body of Christ. Without chant, we lose this simple beauty of communal sung prayer that perhaps only the Quakers and other similar communities practice church-wide. The introduction of instruments focuses attention on the individuals playing and asks the community to participate in these individuals’ music. As we all have experienced, this participation varies widely and depends on various factors, including the song selection and vision of the music leaders. But here the sacramentality becomes difficult. While worshipful music and singing is sacramental by nature, the degree to which the sacramental nature is accepted and appreciated can vary widely. Music, as I began this blog post, becomes simply a way to worshipfully pass the time in the midst of Mass. In this sense, music ceases to stand alone as a sacramental act. While those in the Protestant tradition, especially the non-denominational branches, typically hold a more prominent place for music during a Sunday service, those who do so often have a very symbolic understanding of sacramental grace. In other words, the more music that is played on Sunday morning, the less likely the belief that physical actions and items can proffer the grace of God. But this, this is where the David Crowder Band shines. Instead of giving old tunes a new beat or placing old words in a new catchy rhythm, Crowder presents a level of musicality–portrayed through the modern form of electronic recordings–that expresses the sacramental nature of worship music better than most since the days of Gregorian Chant. The band experiments not only with new songs and lyrics, but with new forms of music to transfer worship itself. Accompanying typically-titled worship songs such as “Only You” and “Fall On Your Knees” comes “Lux Aeternam Shine” and “Phos Hilaron.” Their two best albums–the most recent one and the 2005 A Collision or (3+4=7)—both include instrumental pieces in the midst of popular songs. The latest album includes 11 of such tracks among the 34 total. This increased attention to the power of variegated musicality within recorded music (sometimes challenging the very structure of a “song” itself), the effect of the intrinsic artistic boldness of such attention, and the remarkable musical talent and songwriting abilities of the band members themselves, have allowed the David Crowder Band to set itself apart from the rest of the often-predictable Christian music industry. Neither the David Crowder Band nor its music is perfect…but it is interesting, it is remarkable, and, in its beauty, it calls for a level of participation on the part of the listener as few Christian artists do. Not participation in the form of singing, perhaps, but in the form of attention–to the music, to the worship, to the beauty, and to God. In the modern world, attention is a precious gift that advertisers know far better than we do. Where we spend our attention–what “seizes our imagination“–affects every aspect of our lives. While nearly all Christian music forces us to give some attention to at least the idea of God, DCB’s recordings compel this to a degree I have not felt with any other modern Christian artist–especially via a downloaded iTunes song! But, of course, I speak of songs without music present. If I thought it would be helpful, I would quote lyrics and breakdown genres of songs, but I’m not sure it would add to this discussion. Music, like poetry or any piece of visual art, should force you to slow down and consider to what you’re giving your attention. The best way to understand what I’ve been saying about the David Crowder Band is simply to listen. 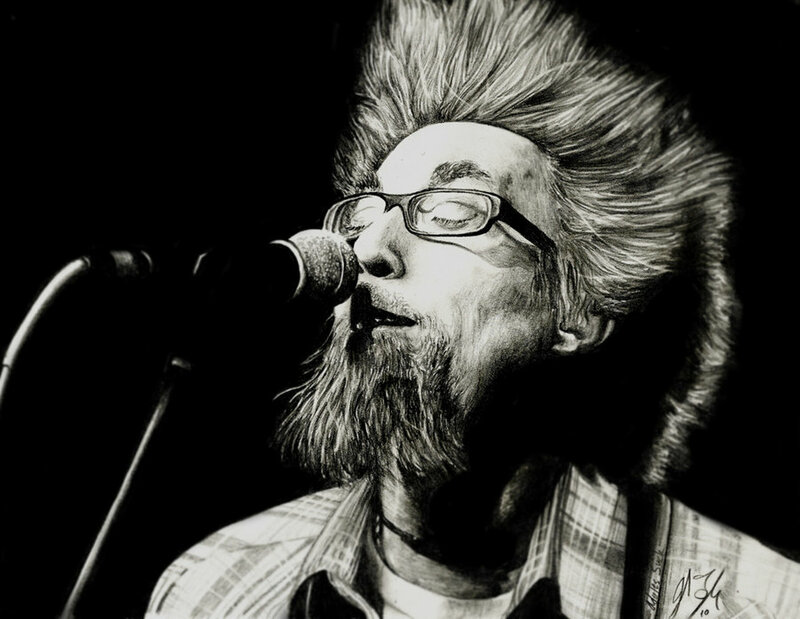 I’ve embedded a sound player in the blog with some of the songs that I feel exemplify the unique quality of the David Crowder Band. One song many readers may appreciate–especially in this season of Lent–is the second song, Crowder’s powerful 5-minute version of Kyrie Eleison. The final half-dozen or so songs on the playlist come from Crowder’s final CD, with the last song being the final song itself–a bluegrass rendition of an old hymn. When you have some time, please take a minute to slow down and listen. I hope you find the beauty that I have come to know. Dear John, thank you for your honest introduction (for me) to the David Crowder band. While I am not a fan of most CCM music, and originally felt a little stand-offish at David’s Baptist roots, I really liked your appraisal of his music. I feel much more “at home” having his music explained in a liturgical and theological context. I often wish I could get in to CCM music more but don’t quite know where to start. So thank you for helping me start. You’re very welcome! Thanks for the comment!